Laparoscopic gynecology can provide many familiar procedures, but with smaller incisions and shorter downtimes. Request more information today: call (949) 829-5500 or request an appointment online. What is Laparoscopic Gynecologic Surgery? Laparoscopic gynecology refers to a collection of surgical procedures that are performed laparoscopically. This type of procedure is named after the tool it is performed with, which is known as a laparoscope. This list is just a small portion of the total amount of laparoscopic procedures that can be performed for women. How Does Laparoscopic Gynecological Surgery Work? The rest of the procedure will vary depending on which specific type of surgery is being performed. Laparoscopic surgery confers many benefits when compared to traditional open surgery. Laparoscopic gynecologic surgery provides a way for women to receive necessary surgical procedures, but with less invasive methods. 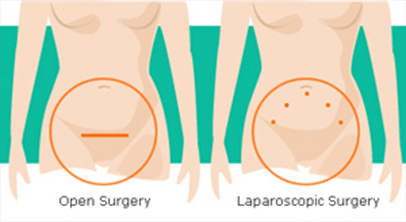 Laparoscopy offers smaller incisions, faster recovery and much more. Request more information today: call (949) 829-5500 or request and appointment online.